Sunday School Classes or Small Groups? This list was created by a fellow named Bob Mayfield. He was attempting to point out some true ideas about Sunday School classes AND small groups. At Calvary, we call all our groups LIFEgroups regardless of when they meet. One of the reasons is because we want even our Sunday morning groups to function like small groups. Read these ideas and see what kind of thinking they spark in you! 1. A belief that lives are more easily transformed within a framework of "small groups". Whether it is in a classroom or a living room, the opportunity to meet with a small group of people that studies the Bible together, prays with each other, and ministers to each person in the group is a powerful foundation for spiritual transformation. 2. "Open groups" are essential to evangelism and sharing the Gospel. Groups that are easily accessible by new people are very effective in helping unchurched or unevangelized people engage the Gospel message both through Bible study and interaction with followers of Christ. 3. Groups are key to assimilating new members and bringing them into a closer walk with Christ. Rainer's data states that 86% of new believers that are active in a Sunday School class will still be around five years later. 4. 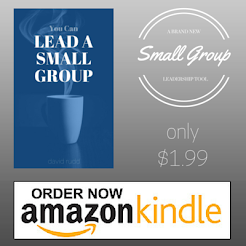 The church needs leaders and a healthy small group structure will equip new people to step into the church's leadership needs. 5. Healthy groups start new groups. I have found that the window to start a new group in both Sunday School and Small Groups is 18-24 months. The longer a group waits to start a new group, the harder it becomes. 6. Keeping a robust, healthy structure is hard work... period! I don't care which strategy you prefer, it takes time, work, and people skills to lead either one. 7. Patience truly is a virtue for both classes and groups. Rome wasn't built in a day and Jesus' twelve followers did not become best buds after their first mission trip. 8. That context is more important than personal preference about which strategy (SS or SG) that your church uses. 9. Finally, both groups realize (hopefully) that structure and strategy are no substitutes for relationships and passion. Groups that thrive on relationships and have a passion for ministry can overcome terrible structure and poor strategy. The reverse is not true.